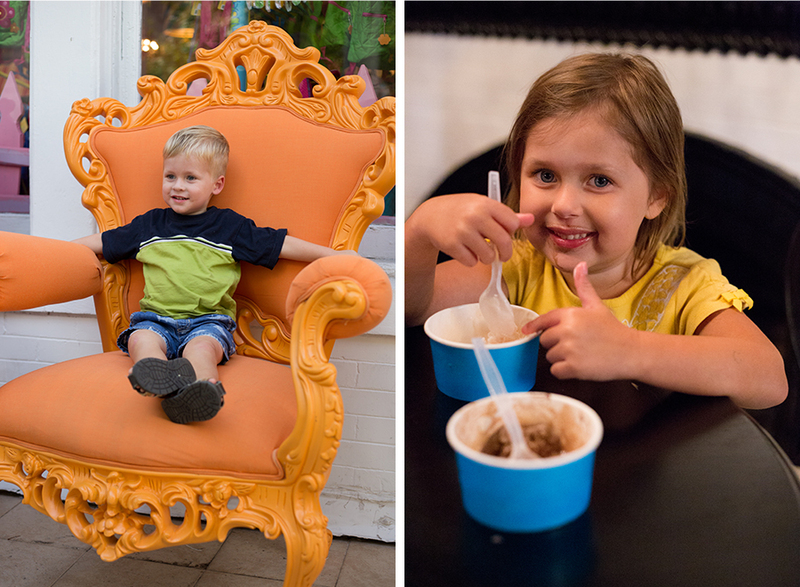 The candy class and tour at Sweet Pete’s were so much fun. We took the class in the summer of 2015 with my in-laws. My mother in law had heard of the candy store from the show The Profit. Sweet Pete’s is located in downtown Jacksonville and is three stories tall. As soon as you walk into the store, you sense you are in a whimsical land akin to Willy Wonka’s Chocolate Factory. 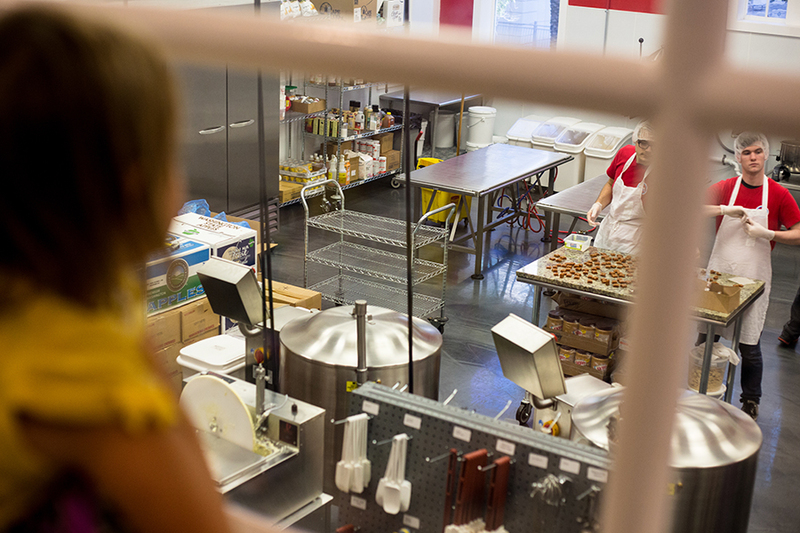 On the lower level are the sweets made on location and the restaurant. The second level is more candy (not made on sight) and the ice cream shop. The third level the location of the classes and birthday parties. The whole building is so nicely decorated. 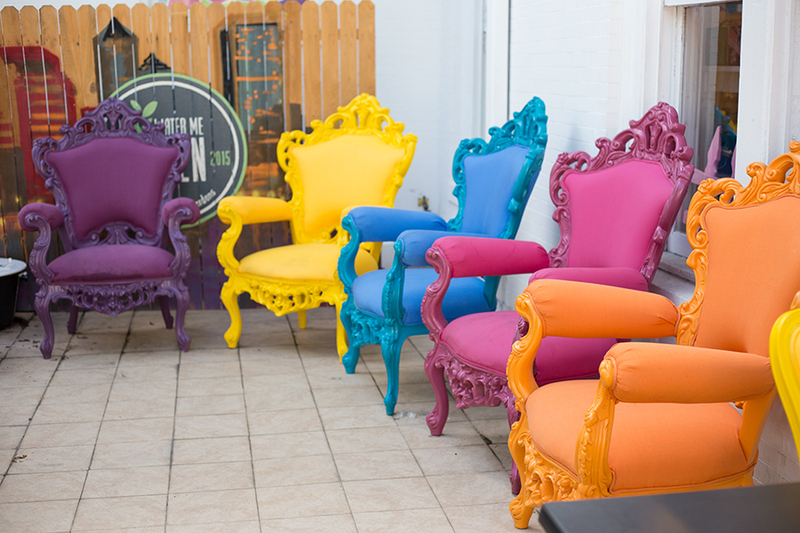 I recommend walking up the stairs and going out on the balcony to see the brightly covered chairs. Even the bathrooms have unique decor and furniture. We took the blow pop class at Sweet Pete’s. Our kids were too young to have their own blow pop station. 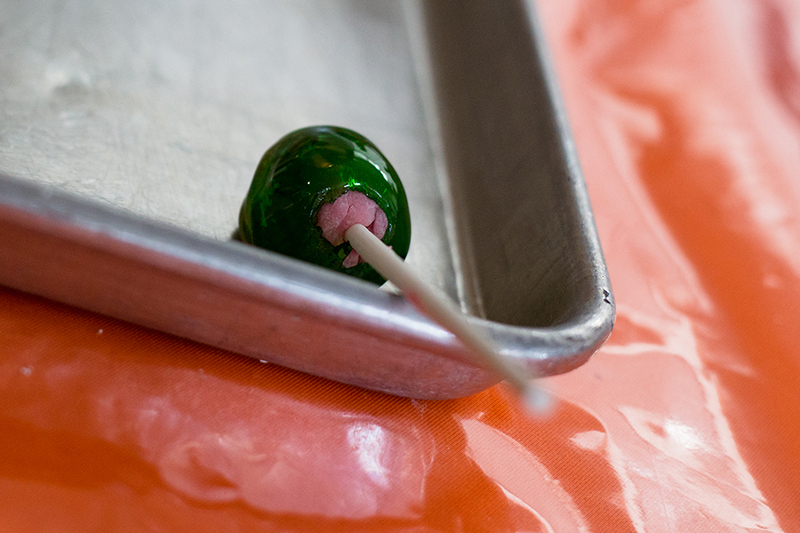 However, they were allowed to watch and help add sugar to the gum part of the blow-pop. The instructor was so enthusiastic about her job and was so kind to us. I’m not much of a blow pop eater but I liked to experience the process of making the blow-pops.We chose a watermelon flavor. 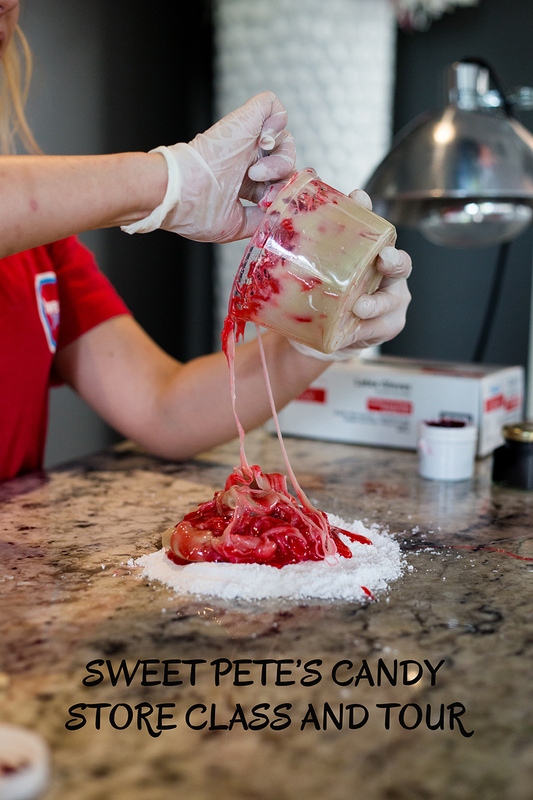 The instructor said one of the best classes at Sweet Pete’s is the hand-pulled lollipop classes. After taking the blow pop class, I can see why she would recommend the hand-pulled lollipop class. I’ve seen chocolate being made, I’ve melted my own chocolate before but I’ve never seen hand-pulled lollipops being made. Even though I think I would prefer to eat chocolate over a lollipop I would want to experience a class where I couldn’t do it at home. 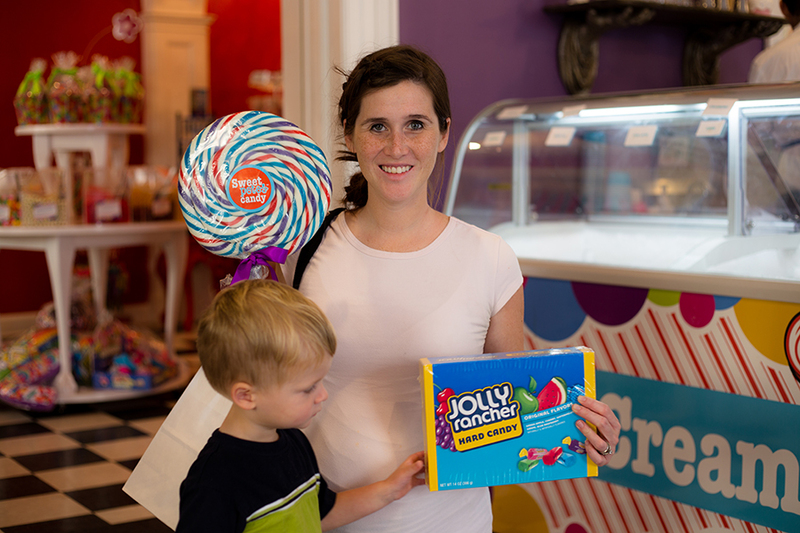 To see more pictures continue after the jumpAfter the blow pop class, we took a tour of the factory and learned a little bit more about the history of the candy store. 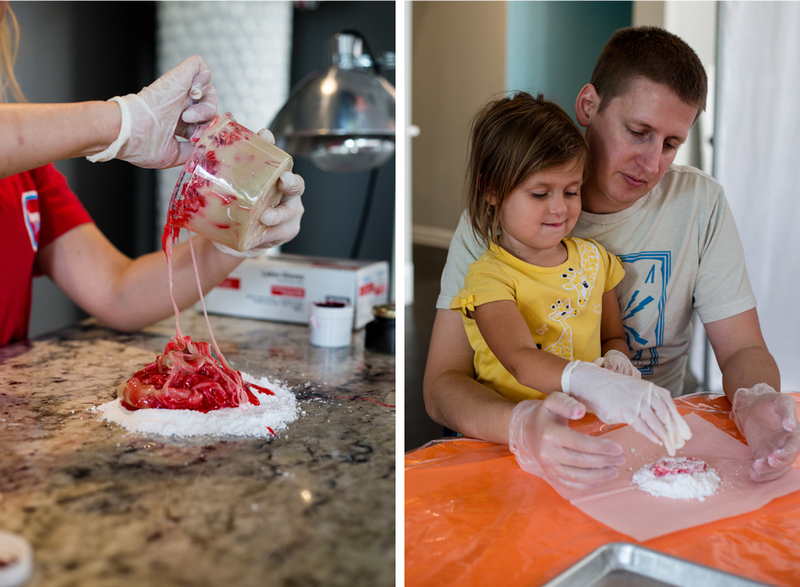 It’s pretty incredible the amount of candy made every day in their kitchen. After finishing the tour we got to have a scoop of ice cream. After the ice cream, we meandered around the whole store. The favorite chocolate that was purchased was the raspberry trufflz. My husband is a chocolate raspberry aficionado. Matt said it was the best chocolate raspberry truffle he’s ever had. Looking at the ingredients I can tell why no raspberry flavoring but real raspberries. I think that’s going to have to be a father’s day present next year. Have you ever been to Sweet Pete’s? What was your favorite candy?